In 2015, more than one million refugees sought protection from war or persecution within German borders. In addition to providing immediate humanitarian assistance, many nonprofits in Germany are pursuing long-term solutions that can help refugees rebuild their lives in a new community by learning a new language, continuing their education, or finding work. 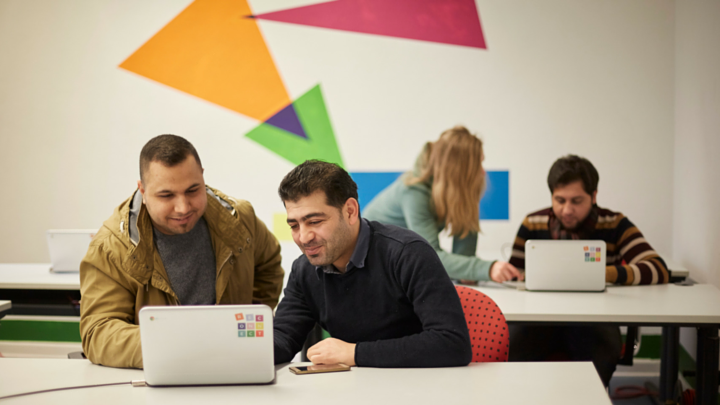 NetHope, with the support of Google.org, has launched Project Reconnect, an initiative that will equip nonprofit organizations working with refugees in Germany with a total of 25,000 Chromebooks. Nonprofits can use these Chromebooks in a variety of scenarios, such as Internet cafés, education settings or youth programs. Nonprofits have the opportunity to apply to receive a donation of up to 5,000 Chromebook computers at reconnect.nethope.org. For more information on the steps to apply and selection criteria, please visit the Project Reconnect website. Google.org supports people around the world who are innovating to combat humanity’s biggest challenges. Through strategic grants and mobilizing Google employees’ skills, Google.org helps non-profits accelerate and scale. In the context of the refugee crisis, Google.org launched a public matching campaign raising millions to support the work of Doctors Without Borders, International Rescue Committee, Save the Children, and the UN High Commissioner for Refugees as well as fund high-impact projects, like offering wireless connectivity solutions in refugee camps and providing access to education.